There’s no denying the fact that we’ve seen Ebony Reigns half-naked (or fully naked) more times than we’ve actually seen her all covered up. When she broke into the scenes, people thought it was for the attention to her art. Maybe it was but interviews with her and her attitude about going half-naked has shown that maybe, just maybe, Ebony loves to go naked. However, there are times when she calmed it down and she didn’t look any less beautiful. 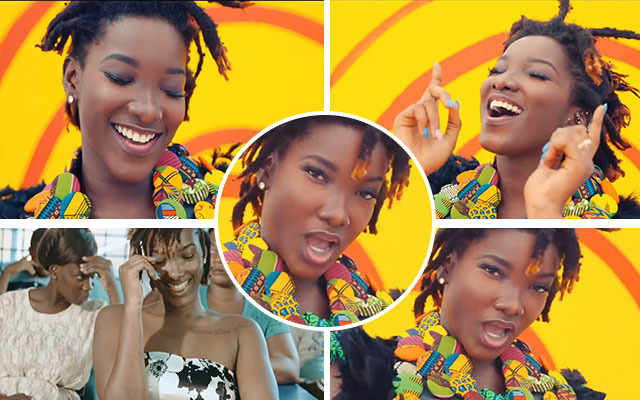 Fastest ever rising and popular songstress in Ghana, Ebony Reigns has proudly owned the perception of her being a “bad girl” as portrayed in her music and performances. Priscilla Opoku Kwarteng is her name, new but popular songstress that is trending all over the nation Ghana. In a new photo of her she posted over her Official Instagram page shows her rather adorably sweet side; one where she shares an infectious smile. Ebony Reigns is known to be one who capitalises on the opportunity her body harnesses to the max. She recently revealed in an interview that she proud of the bad girl reputation she holds in the eye of the public because that is really who she is. Have any opinions or suggestions concerning Ebony Reigns selfies ever, drop down your say with the comment box below.